So it was three years ago yesterday that my urologist confirmed what my gut had been telling me for 5 weeks–I had prostate cancer. Kind of hard to believe that it’s been that long ago already. Looking back on the experience, I didn’t realize how much it would impact others. My sister had a melt down when she heard the news. Friends that I thought would be there for me couldn’t even bring themselves to be in the same room with me, let alone have an open discussion about cancer. And acquaintances that I barely interacted with prior to the diagnosis became my staunchest supporters. The biggest lesson that I learned was that I, as the cancer patient, would have to take the lead and guide those around me through example as to how and when it was okay to talk about the diagnosis. People were afraid to bring up the topic or simply ask, “How are you doing?” for fear that it would send me into a tizzy. So for those of you reading who may be newly diagnosed, remember that even though it’s primarily about you, it’s also about everyone you come in contact with as well. Look at the world through their eyes. (Or, perhaps, even how you yourself acted when you learned that a friend or family member was diagnosed with cancer.) And, if you do have a close friend or family member who can’t be there for you, don’t push it and don’t judge them. Accept it and move on. 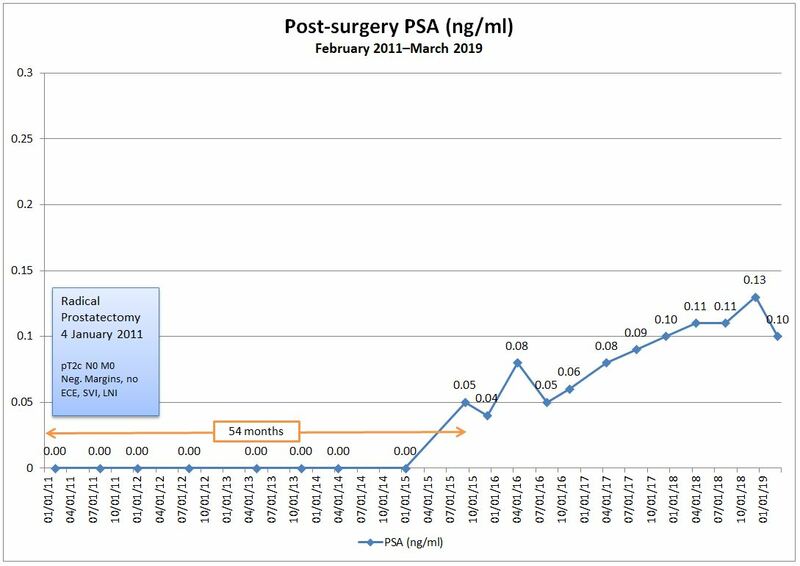 My latest six month check-up shows that my PSA remains undetectable (<0.03 ng/ml) which is great news, of course. No signs of little cancer bugs. Next check-up: 13 May 2014. It’s great that we continue to increase awareness, but I really wish the men’s health community would be more consolidated and more focused in its efforts. My local grocery chain highlights prostate cancer in June; there’s National Prostate Cancer Awareness Month in September, and there’s Movember in November. Perhaps it’s good that there are year-round activities, but by being somewhat disjointed, we lack the higher profile and oomph that the breast cancer awareness campaign has. Finally, for those readers in the U.S. about to observe Thanksgiving, I hope you have a great holiday with family and friends. The same experience I had, only difference is that I had breast cancer and you prostate cancer..Only my parents were there with me till the end and at times where I lost my hope on living still they continued to fight.At last we were able to overcome the defeat.For all cancer patients my advice is to stay positive no matter what happened you will be able to achieve something in your life.At least a moment filled with happiness.